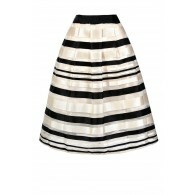 You have added Lines Of Lace Black and White Pencil Skirt into shopping cart. This black and white lace pencil skirt is one of the prettiest we've seen in a long time! 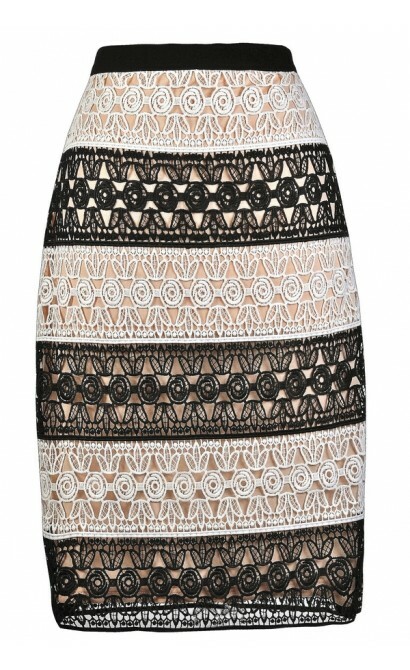 The Lines Of Lace Black and White Pencil Skirt is fully lined in beige fabric for contrast. It has a black banded waist and features alternating panels of black and white crochet lace. 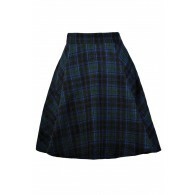 The fitted pencil cut of this skirt is chic and ladylike. A hidden back zipper completes this look. The Lines of Lace Black and White Pencil Skirt looks perfect worn high waisted with a black or ivory blouse or top tucked into it. It can also be paired with a black tank and a blazer or cardigan for a polished style. Pair it with beige or black pumps or heels and you're out the door! Details: Fully lined. Hidden back zipper. 100% polyester. Contrast: 100% polyester. Lining: 100% polyester. Hand wash cold. Do not bleach. Lay flat to dry. Small measurements: Length from top of waist to hemline: 25". Waist: 28". You have added Lines Of Lace Black and White Pencil Skirt into Wishlist. 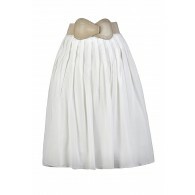 You have added Lines Of Lace Black and White Pencil Skirt for Stock Notification. You have set Lines Of Lace Black and White Pencil Skirt as a loved product. 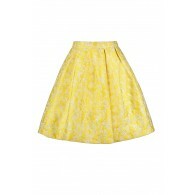 You have removed Lines Of Lace Black and White Pencil Skirt as a loved product.